I was looking through the list of NBA champions last week when writing my commemoration to Moses Malone. While I was looking over that list, I noticed an interesting trend among NBA champions, one that I thought was kind of troubling. What I am going to tell you will significantly help you in determining who will be meeting in the NBA Finals after the playoff field is set. The NBA seeds it’s playoff teams one through eight in each conference at the end of the season. Theoretically, everyone has a chance to win the championship but looking at NBA history, that doesn’t seem to be statistically true. The likelihood that an eighth-seeded team winning the championship based on NBA history is zero. There has never been an eight seed to win the NBA Finals. In fact there has never been a seven, five or four seed to win the title either. Only one time in the last 65 years that a team not seeded one through three has taken home the trophy. That only time came 20 years ago when the Houston Rockets won the title as the sixth-seeded team in the West. That is even more impressive when you consider that back then, each conference only sent six teams from each conference. Getting to the finals is almost impossible for teams outside of the top three as well. Granted the NBA has only sent eight teams from each conference starting in 1984 but over the last 31 years, only four times in that span has a team seeded outside of the top three even made it to the finals. Those same Rockets were the first and then four years later, the Knicks shocked everyone as the only eight seed to ever make it to the finals. The Mavericks in 2006 and the Celtics in 2010 remain the only teams not seeded in the top three to qualify for the playoffs in that time span. Before that, the trend wasn’t much better despite having fewer teams. The Seattle Supersonics in 1978 made the Finals as a four seed. The Rockets preceded their eventual underdog win with a trip to the Finals in 1981. They round out the list of just six teams outside of the top three to make the finals. It has gotten to a point where you have to wonder if teams should even bother trying. Obviously, everyone will because you never know what might happen but overall, the odds are so stacked against teams that haven’t locked up a top three seed. There have been 248 teams to enter the playoffs as the bottom four seeds over the past 31 years. Just one of those teams has made it to the Finals (the 1999 Knicks). The best teams in the league are supposed to move on to the Finals but it is staggering how much the seeding plays a roll in who make it to the championship round. You have to wonder if the NBA could find a way to make the playoffs more level. There probably isn’t much and we still see teams that are the lower seeds upsetting higher seeds. They just never seem capable of doing anything past that. Part of the problem is the tendency for NBA superstars to team up and create super teams. That means that these lower seeded teams are either very young or completely lack the talent to compete. It is a product of the NBA’s roster structure. It is not necessarily a bad thing, it is just how the league tends to run. It is also a product of having seven game series. Just because a team has a bad night does not mean they are out of the postseason. They have a number of opportunities to regain their ground and aren’t like to have four bad games against a lower level team. That limits an underdogs chance to advance because they need to outplay what is considered a superior team four times, rather than just one. There always has to be a time where the underdog wins. It just makes sense. However, until it finally happens, you have to wonder why even bother. The chance that these teams make it to the Finals is low. The chance that they win the NBA Title, close to impossible. Yet it is sports so the manta “any given Sunday” will continue to drive underdogs. That is the beauty of sports. Just an interesting trend I noticed that definitely tell you a lot about the NBA. The Bills’ defense was supposed to thwart Brady. Instead, he was only sacked once, a testament to the play of the offensive line, and threw for 466 yards, a testament to how good Brady is. The defense didn’t seal the deal quite as convincingly as you would like but the defending champs are 2-0. No Eddie Lacy, no Jordy Nelson? No problem for the league’s best quarterback. Aaron Rogers might not have had the best statistical night but he took it to the Seahawks. He exorcised some demons as well for the Fail Mary game and last year’s NFC championship game. Still a lot more to do but the Pack are in good shape right now. The Broncos are beyond lucky to walk away with a win at Arrowhead. Two touchdowns in nine seconds completely flipped the script. The offense did just enough to keep Denver in it and the defense won the game for them. Peyton Manning needs to start handing out gift baskets full of Papa John’s pizza to thank the defense for carrying him to two wins so far. Dominating the Bears is always a good stat padder. Now the Cardinals have to take on division rival San Francisco. If the 49ers show up like they did in their season opener, Arizona will have their hands full. Still no completely sold on Cincinnati as a title contender but they are starting to look a little more legitimate. The Bengals are very fortunate Giovani Bernard was there to pick up Jeremy Hill’s slack against San Diego. Next on the schedule, a chance to put the Ravens out of reach after just three games. That has to sting some. Kansas City outplayed Denver for a majority of the game on Thursday night. Unfortunately, Jamaal Charles had a very off night, fumbling twice and cost the team the game. They still move up a spot because of the issues Seattle, Dallas and Indy are facing. Well that was ugly. The Cowboys remain perfect on the season and sent home DeMarco Murray looking foolish. They also lost Tony Romo for the next eight weeks. This offense has a lot of reinventing to do with him and Bryant out for significant time. Pittsburgh get LeVeon Bell back this week which means that the explosive offense we saw on Sunday is going to be even better. The defense is still a work in progress but it took a small step forward. San Francisco wasn’t much of a test though. Well they looked better against the Packers…kind of. Seattle has no identity on offense, a product of the front office trying to do too much. 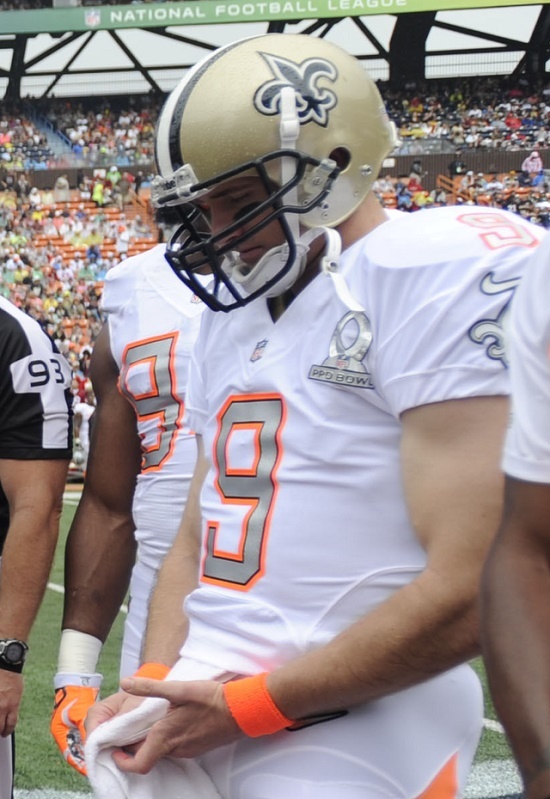 Jimmy Graham is no so silently fuming at his role with the team. Seattle desperately needs a win against the Bears to get back on track. Missing: Andrew Luck. Last seen dominating the NFL in 2014. Missing since the AFC Championship game. The Colts need to do something differently on offense to get the team moving in the right direction. Right now they have no direction or cohesion. Two game winning drive in two weeks. Matty Ice is living up to his name. Atlanta now face the Romoless Cowboys and if they can walk away with a win this team will be in business. Well so much for all of the hype. The defense had it’s hinges blown off and got to Brady just once the entire game. Buffalo made a late push but it was too little too late. That being said, they had a chance to tie it on that last drive. The Bills are still dangerous but have a little more developing to do first. Turnovers the Jets defense forced in 2014: 13. Turnovers the Jets defense forced through the first two weeks of 2015: 10. This defense is scary good and the offense is just good enough for them to win some games this year. Minnesota finally remember that they had Adrian Peterson on the roster and fed him 29 times this weekend. That seems a little excess and the Vikings have to find a good balance between rushing and passing. Good win against a division rival though. You got the sense that Miami wasn’t firing on all cylinders when they played Washington. Now we saw that on display with a loss to the in-state rival Jaguars. Ndamukong Suh apparently isn’t listening to the coaching staff and the ground game seems non-existent. Not good signs for the Dolphins. The come back proved to be too little too late. There were some positives from this performance though, including a much better outing by rookie running back Melvin Gordon. The defense showed up in Week 2 but forgot to bring the offense with it. Holding Dallas to only 20 points was a pretty good showing, considering how frequently they were on the field and how many times Dallas had a short field. Sam Bradford and DeMarco Murray have not been the explosive pairing the Eagles hoped for though. Don’t look now but the Panthers are 2-0. The wins were against the middling Jaguars and mediocre Texans but they are wins nonetheless. A win against the rival Saints would Carolina in a really good spot to contend for the NFC South crown. Ill-timed penalties and poor offensive line play killed the Lions this week. Detroit had nothing going for them on the ground whatsoever. Finishing with 16 carries for 38 yards won’t win many football games. The offense came to life, the defense disappeared. Losing to the Raiders is not something many playoff bound teams do during the course of the season. A loss to the Bengals this weekend would drop the Ravens to 0-3 for the first time in franchise history. There are highs and lows to every NFL season. The Rams were coming off a high and crashed to a very uninviting low. Washington simply outplayed St. Louis and bullied them at the point of attack. The running game needs to get going again so they can take some pressure off of Nick Foles. Oakland earned a huge win this weekend over the Ravens. Now with a winnable game against Cleveland on the horizon, Oakland could end up with winning record for the first time since December of 2011. Unfortunately, that was the 49ers team most of us assumed we would see during the season opener. The offense was outmatched and the defense looked helpless. Full scale collapse after a strong start. I get that Arian Foster cannot play at the moment but there is still no reason the Texans should be throwing the ball 52 times in one game with Ryan Mallett at quarterback. Mallett isn’t that type of player. Bill O’Brien has to be smarter than that next week. Johnny Manziel has played well in his first two games. There is significant room for improvement. 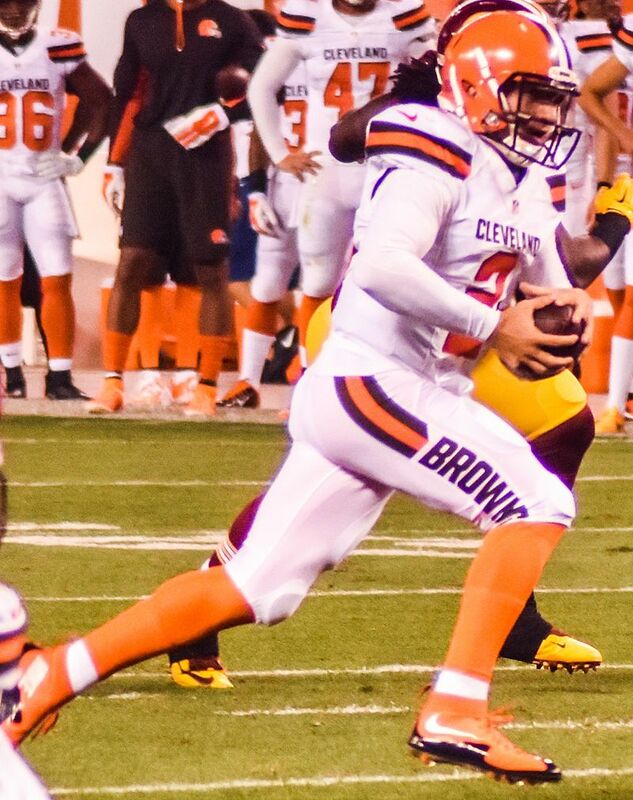 However, it seems the Browns are going to roll with Josh McCown now that he is healthy. I can’t really understand why but it seems our time of watching Manziel scramble has come to an end. At least for now. The Giants just became the first team ever to lose their first two games after leading by 10 points in the fourth quarter. Yes ever. These late game collapses are going to cost Tom Coughlin his job at year’s end if he cannot turn the team around. Losing to the Cardinals is one thing. Losing to the Bucs is humiliating. The Saints are heading for another lost season right now and if Drew Brees cannot go against Carolina on Sunday, this team is as good as defeated. That win against Miami looked convincing. The ground game is still a long way from proven but Allen Robinson is starting to look like a real #1 receiver. If Jacksonville can weather the storm that will be the Patriots this week, they get Julius Thomas back in Week 4 and then this offense will hopefully take the next step. After losing DeSean Jackson, I did not expect Washington to get their first win any time soon. Washington dominated the line of scrimmage on both sides of the ball, which got them the win. That one-two punch of Alfred Morris and Matt Jones could be something special. Well the Titans returned to reality this weekend in a humbling loss to Cleveland. This is still a team with a rookie quarterback, a suspect receiving core and a defense that lacks playmakers. Tennessee still has a long way to go before they start challenging any one sincerely. Week 2 was truly crazy as even the Bucs got a W. Beating the Saints does not mean that we are going to see Tampa completely turn the season around but it shows that they can be competitive right now rather than in the future. Pitiful is probably the easiest way to describe how the Bears have played so far. 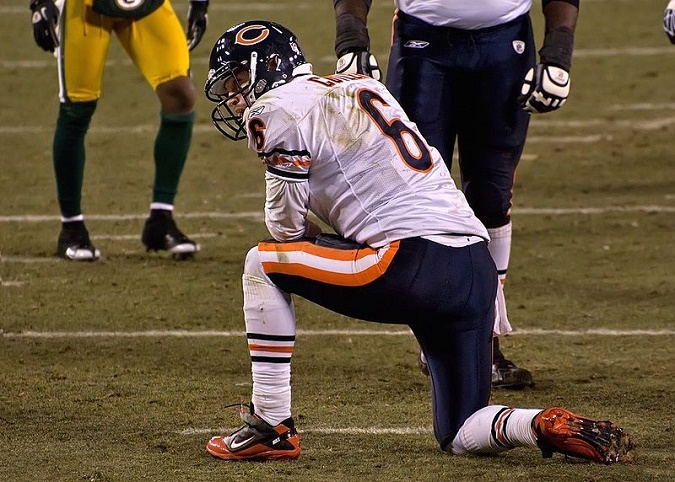 Things probably will get worse before they get better too with Jay Cutler set to miss at least two weeks. The Bears have earned their spot in the basement, especially with so many teams around them winning this weekend. What a whirl it has been already on the quarterback carousel in the NFL. We got a really early taste this year before the season even began when Geno Smith had his jaw broken by a teammate in the locker room. That thrust Ryan Fitzpatrick into the starting role and the Jets have opened their season 2-0. In the Windy City, the Bears are already in free fall and Jimmy Clausen is set to retake the starting role, if only temporarily. Jay Cutler has a hamstring injury that Chicago has said will keep him out at least two weeks. Clausen filled in for Cutler last year after the latter got benched. He was passable, tossing two touchdowns but also throwing a pick. The more concerning thing is that he actually sustained an injury in that game last year, forcing Cutler back into the lineup. If Clausen were to go down, Chicago would really be in trouble then. The last quarterback on the roster is youngster David Fales from San Jose State. If he has to start for the Bears, this team will be in full scale crisis mode. Panic Level: Low (they can’t be much worse). Who does Dallas turn to now? The Cowboys have not announced a return date for Bryant and have said that it is a week-to-week evaluation. When things go bad, you hope they just don’t get worse. Well things just got a lot worse for the Cowboys. Dallas just entered crisis mode. 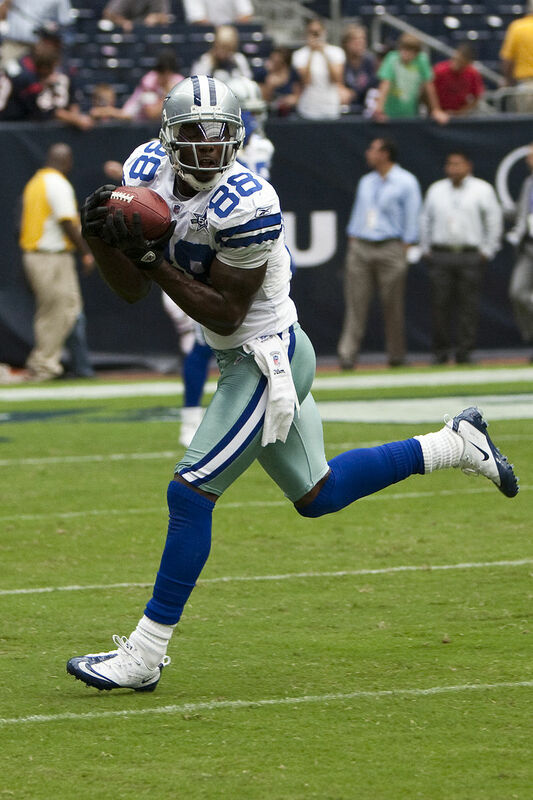 Week one saw Dallas’ leading receiver Dez Bryant suffer a major foot injury that required surgery. Bryant, who just signed a five-year $70 million contract this offseason, is rumored to miss anywhere from 6 to 12 weeks with the injury. The number seems to be up in the air. That was catastrophic for the Cowboys. Bryant accounted for 1,320 yards and 16 touchdowns a season ago. That loss was not ideal but then the unthinkable happened. Romo’s timetable for return has not been established yet. He dropped back, he turned to scramble and he lost the ball. He then received a crushing hit that drove his left shoulder into the ground. Tony Romo didn’t get up for a while after that. The Dallas medical staff charged onto the field. Romo eventually walked off under his own power, holding his arm gingerly. It looked bad and it is no doubt that Romo will miss some extended time. He has been officially diagnosed with a broken left clavicle. 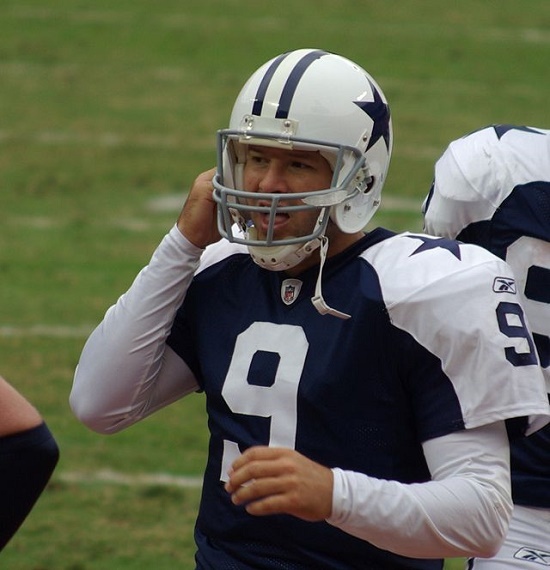 No timeline has been set yet but when Romo broke his right clavicle a couple of years back, he missed 10 weeks of the season. Dallas cannot afford to lose Romo for 10 weeks this year. That paired with the injury to Bryant is going to cripple this offense for the most part. The offensive line is still great and the combo of Joseph Randle, Darren McFadden and Lance Dunbar can lead the running game but the passing game is as good as dead. Brandon Weeden is the only other quarterback the Cowboys have on the roster at the moment. That is far from a reassuring thing. Weeden (left) is a veteran who could bridge the gap until Romo’s return but has been uneven in his appearances. Weeden in his career has been mediocre at best. He started his career in Cleveland, but that was short-lived as his reputation for committing turnovers lost him the job. In 28 career games, Weeden has 28 interceptions and 12 fumbles. That is not exactly reassuring for your starting quarterback. It is hard to say those days are behind him either. He played great in relief of Romo but in the only game he started last season, Weeden threw two interceptions, fumbled once and completed only 55 percent of his passes. Even if Jerry Jones and the Dallas coaching staff thinks Weeden is the man for them to start next week against Atlanta, they are going to need to sign another quarterback. Someone needs to back up Weeden next weekend. Matt Flynn is among the names that will float out. He has had some success as a starter in Green Bay and could be a good back up. Kyle Orton is officially retired but Dallas could coax him off his couch. He has a lot of experience as a spot starter all over the league and actually played for the Cowboys as recently as 2013. One last option that might appeal to Dallas would be bringing Dustin Vaughn back. He was signed by the Cowboys in 2014 as an undrafted free agent so he has some familiarity with the team already and looked good at times in the preseason. The Cowboys brought in Brice Butler already from the Raiders at receiver and will continue to rely even more heavily on Terrance Williams. I already mentioned the running backs. Dallas will need to work hard to establish the run early and often going forward. With all of the options they have at running back, which will eventually include Christine Michael, Dallas should be able to alternate them to keep everyone fresh and have a solid ground game. Despite being 2-0, Dallas has to feel like it is in a major rut at the moment. Losing your top receiver and starting quarterback in a two-week span is not something many teams are able to overcome. Looking past the Atlanta game, the Cowboys have a winnable game against the Saints before hosting the defending Patriots. Following its bye, Dallas heads to New York for a rematch with the Giants. Then the Seahawks visit Big D. That is a very tough slate for the Cowboys. Dallas could find a way to weather the storm but that is unlikely. With the Cowboys sliding, and both Philly and New York sitting at 0-2, Washington suddenly seems to be in a good spot. This division is an absolute toss-up the rest of the way. If Dallas has any hopes of finishing on top of the pile, it needs to find a couple of new offensive weapons. Bryant and Romo will eventually be back but until then, Dallas will have a tough time making ends meet.